Pipe Camera Gecko a reliable, heavy-duty push camera. 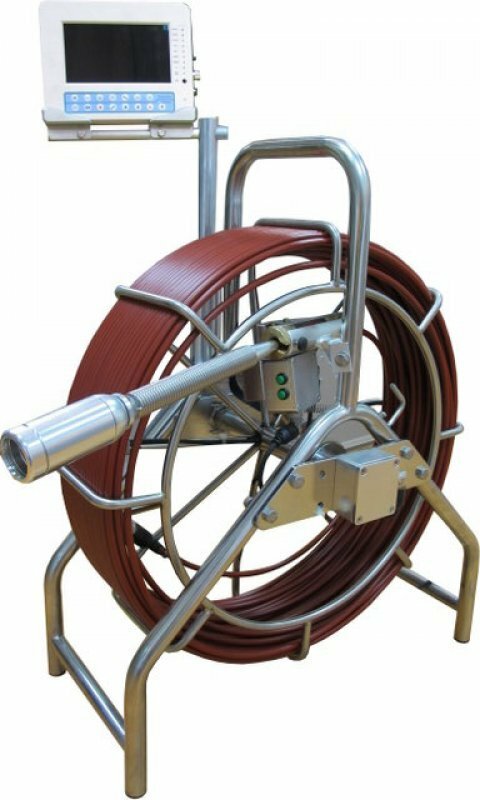 The device can be used for inspection of pipelines, drains, tanks or vessels. Gecko features a self-leveling camera head and high-intensity LED lights which allows to inspect in complete dark environments or underwater. Probe length is 60 meters (197') with 40mm (1.57'') diameter. Both the head and camera are 1 Bar water- and oil-proof. The 360° rotating monitor determines the length of probe inserted and supports both metric and imperial units. Other important features include a 512Hz sonde/beacon for easy location, CCD image sensor providing quality image, and anti-scratch sapphire lens on the camera head. The camera can be operated using a remote control which saves the operator the need to return to the control unit each time to record an image. The data can be stored on a micro SD card. In addition, the pipe camera offers USB interface as an alternative way to transfer files. These features makes this device a number one choice for professional pipe inspections.